If you have any questions about this product by Mangal_Kalash, contact us by completing and submitting the form below. If you are looking for a specif part number, please include it with your message. 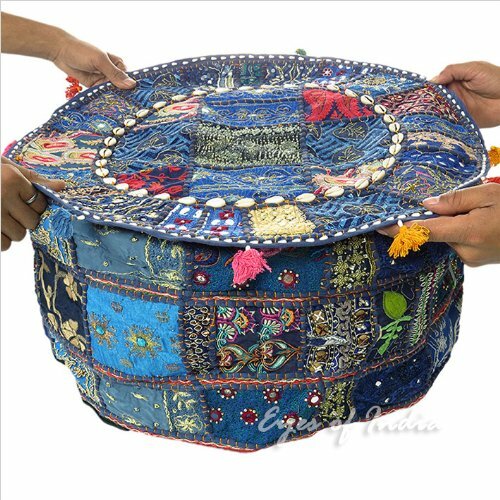 Indian Vintage Ottoman Pouf Cover ,Patchwork Ottoman, Living Room Patchwork Foot Stool Cover,decorative Handmade Home Chair Cover 16" X 16" Inch.